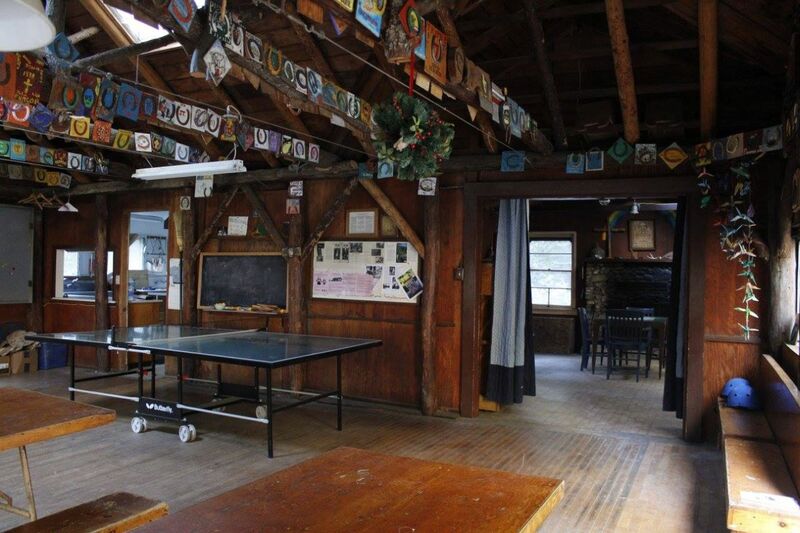 The lodge at Sturtevant Camp is the oldest facility on site and the first permanent structure built here by founder Wilbur Sturtevant. 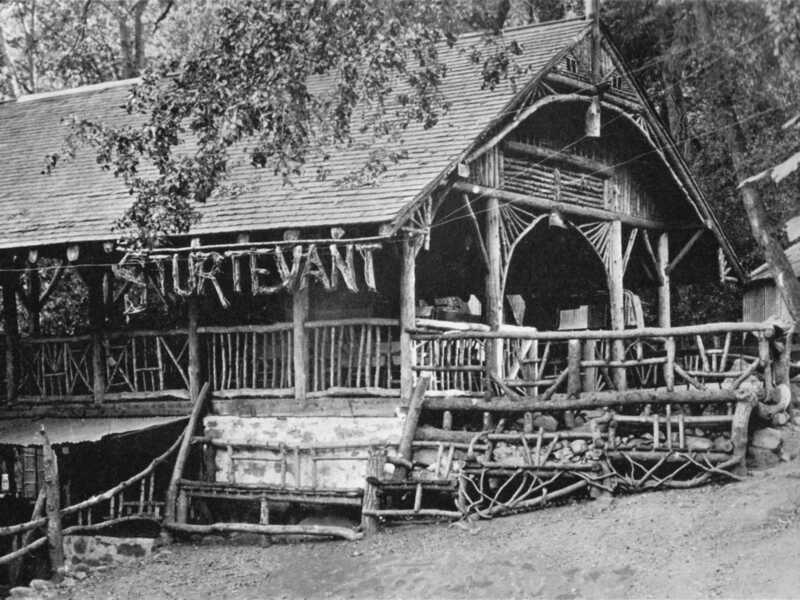 Construction began in 1897 and was completed for the official reopening of the newly remodeled Sturtevant Camp in spring of 1898. 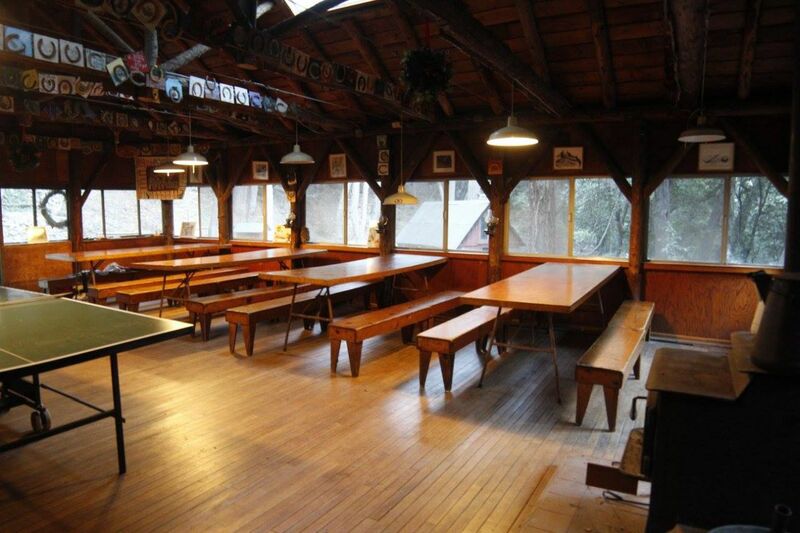 It was originally called the Swiss Dining Room and was actually an open-air pavilion made from logs of the native Big-Cone Douglas Fir trees. 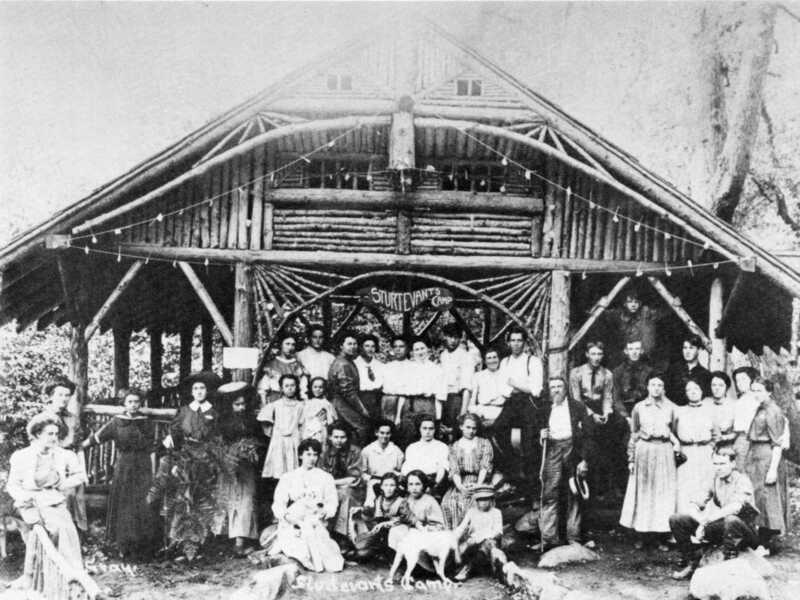 The framework of the original pavilion is still intact and is the skeleton of the lodge today. 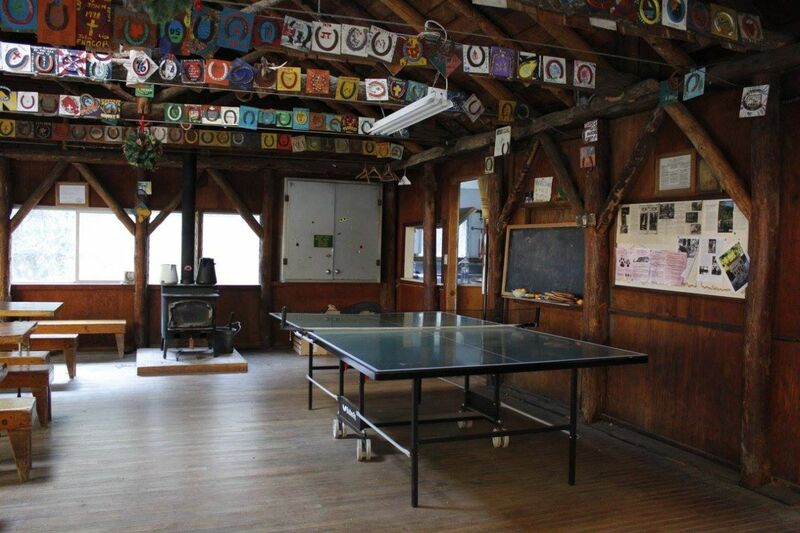 Enclosure of the lodge, which includes plank siding, aluminum-framed windows and asphalt roofing, was performed by volunteers of the Methodist church association which purchased the camp in 1945. 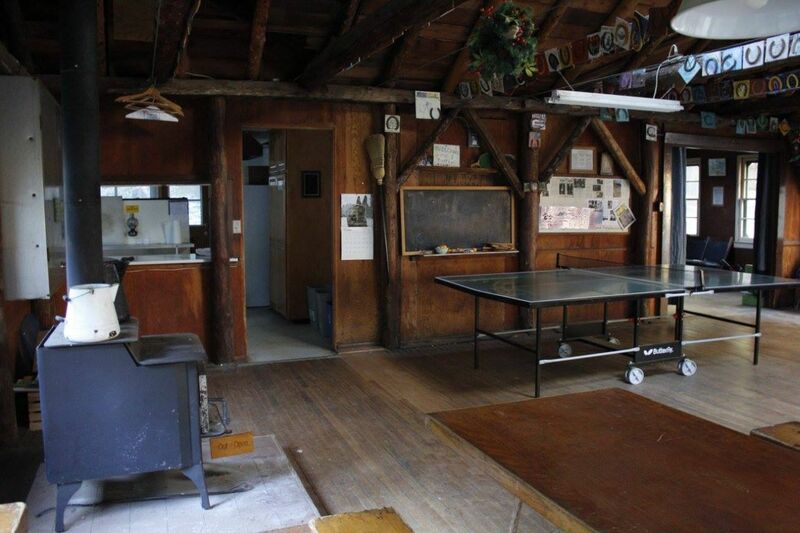 It was during this period of modernization that the present day kitchen and fireplace/game room was added. 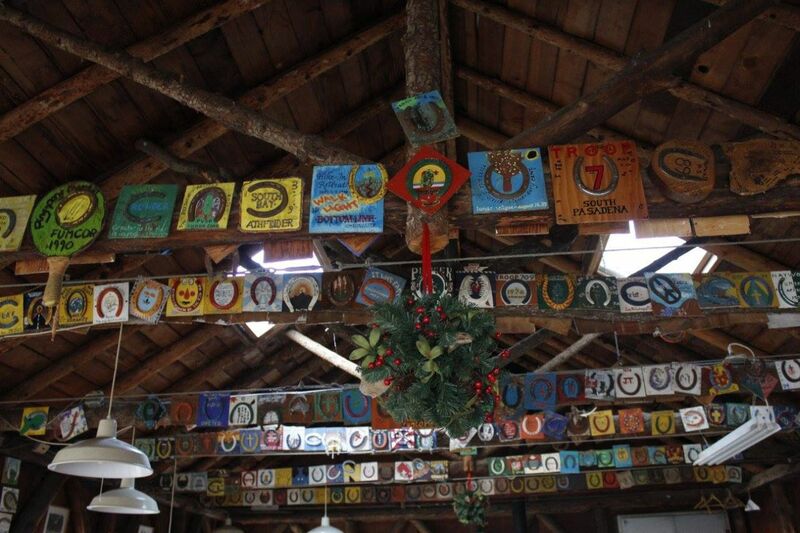 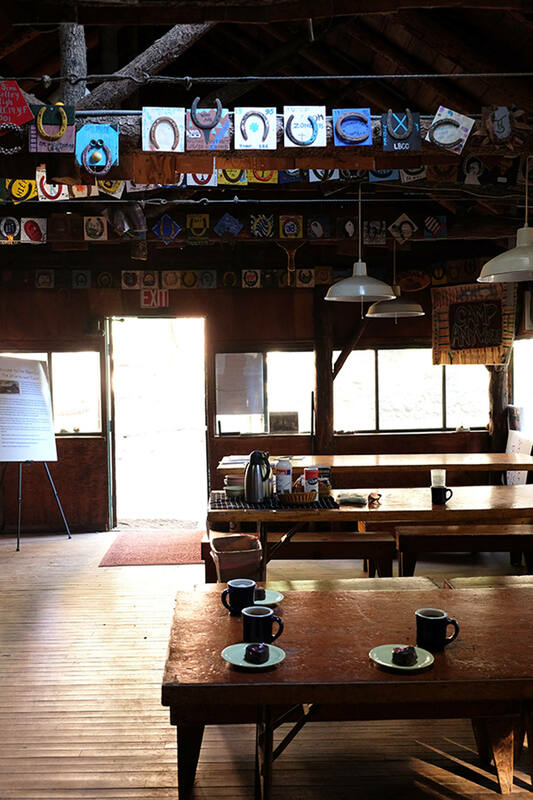 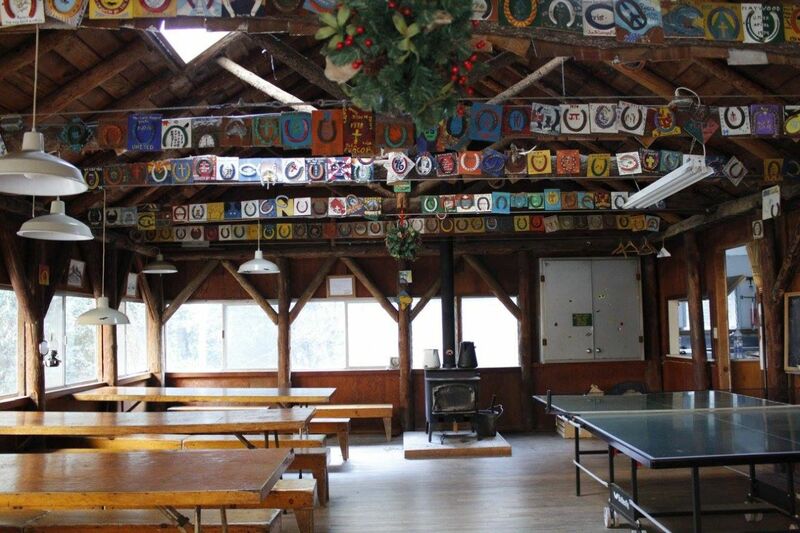 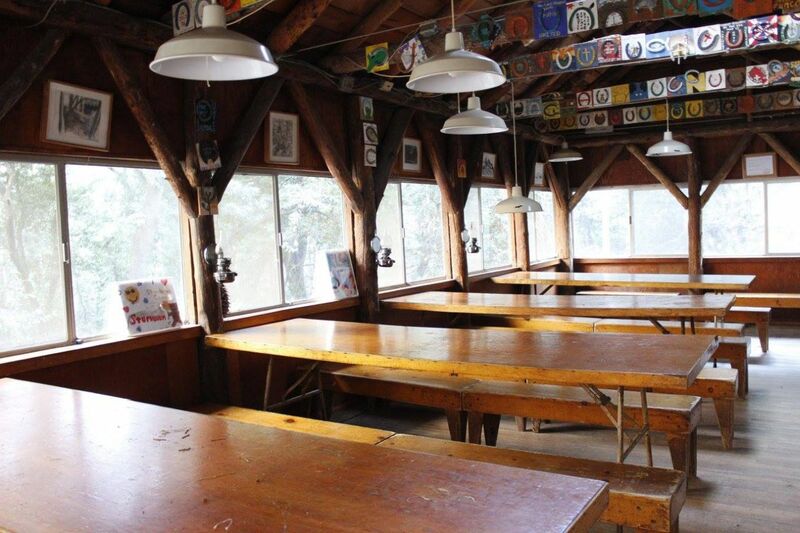 The many hand-painted horseshoe plaques attached to the rafters of the lodge were created by members of the many youth groups and Boy Scout troops that inhabited the camp during the era of church ownership. 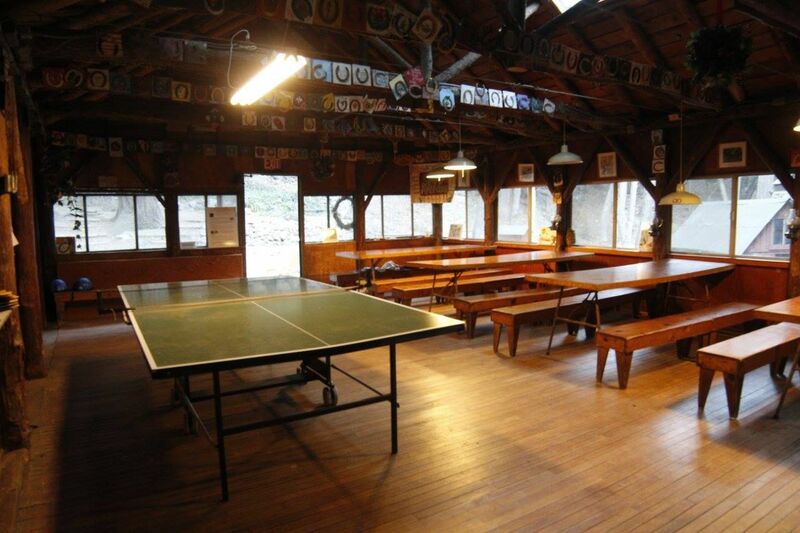 Sturtevant Lodge today retains an authentic, old-fashioned feel, and the genuine patina of decades of use and enjoyment. 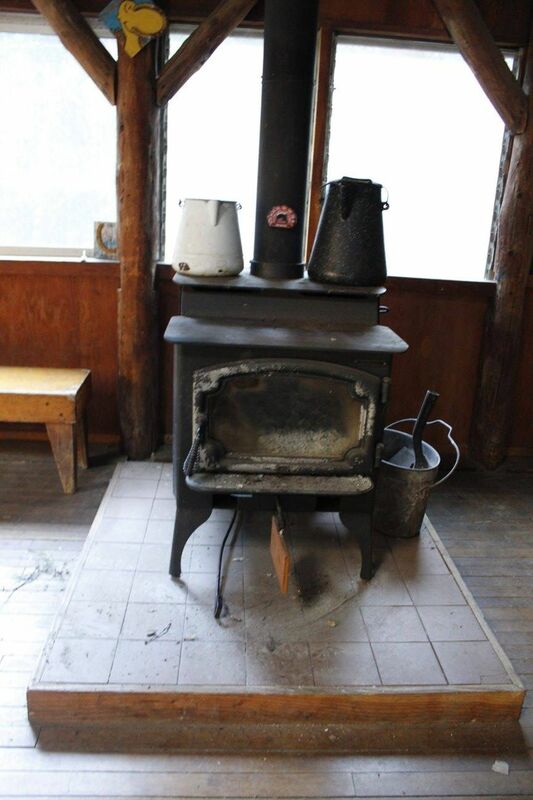 The room is still heated by a wood-burning stove, and kerosene lanterns a attached to posts by the tables, but the lodge is now wired with electric lights. 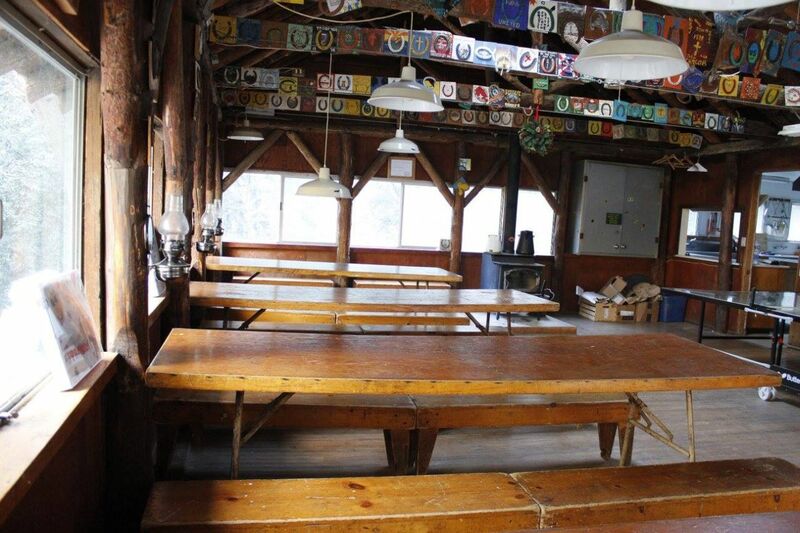 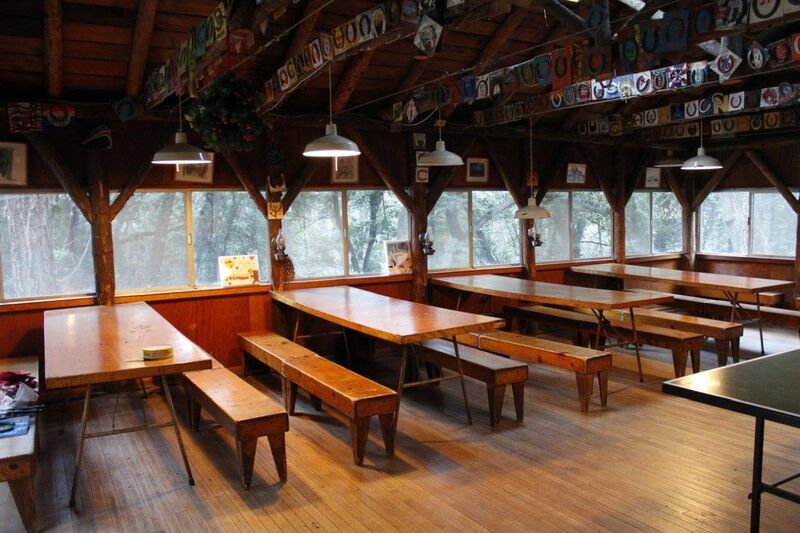 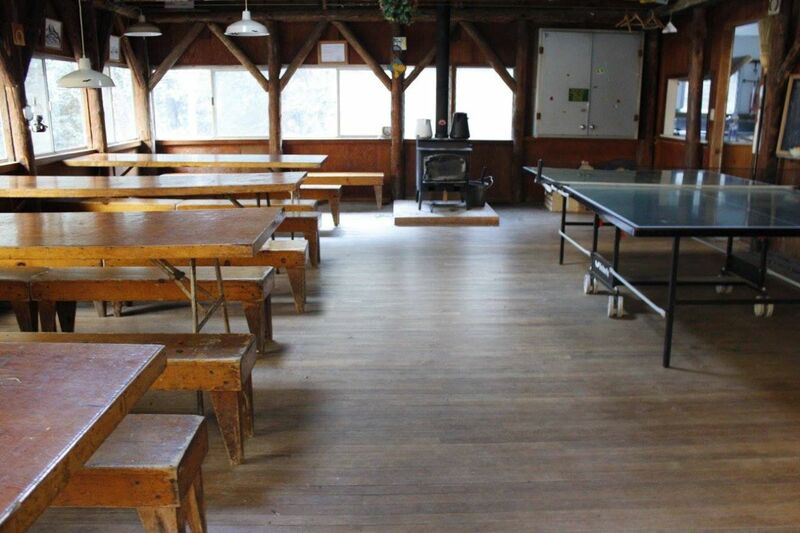 Long dining tables with benches provide enough seating for the camp at full capacity and there is a pass-through window for serving from the kitchen. 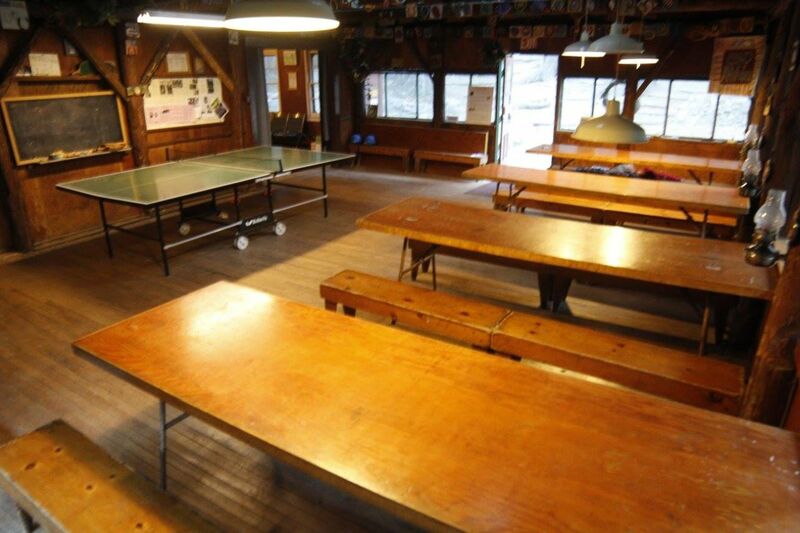 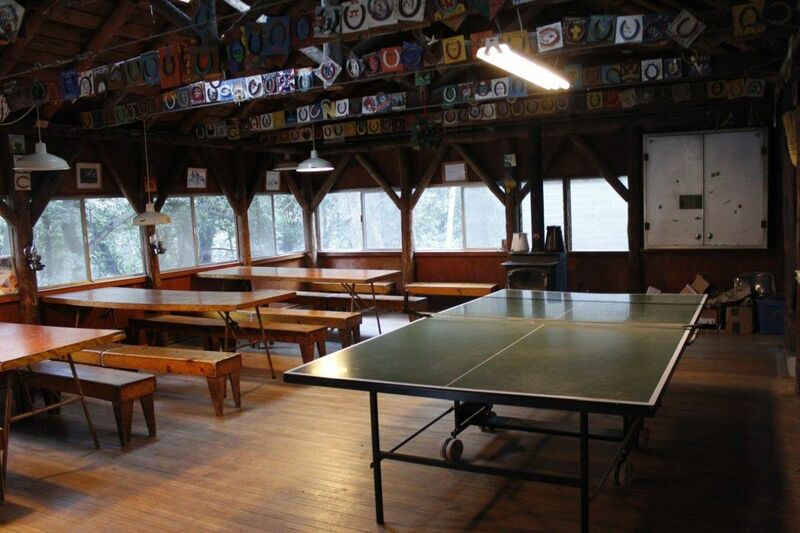 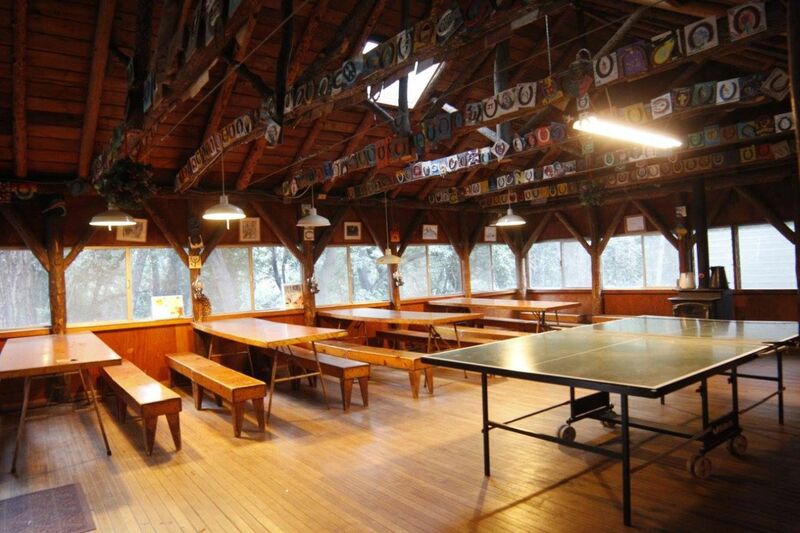 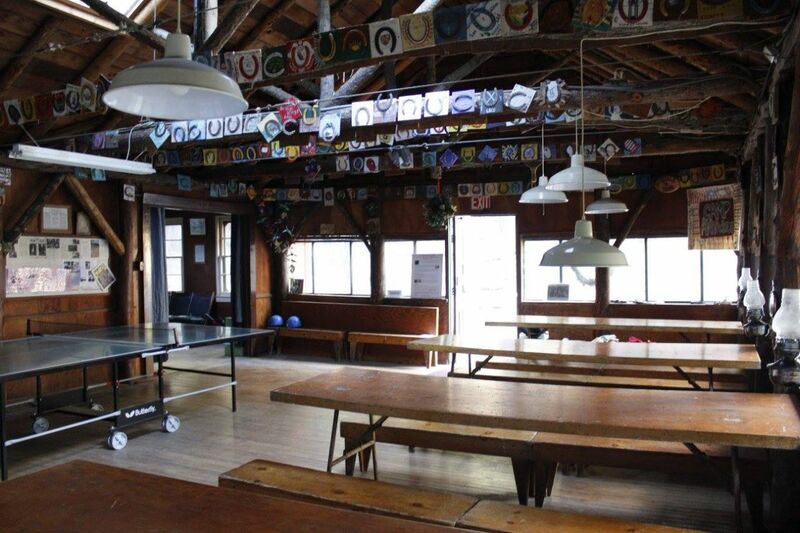 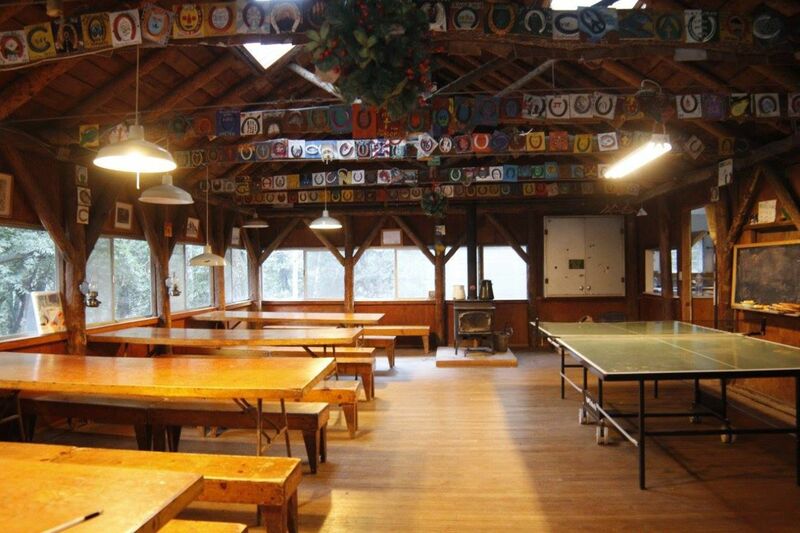 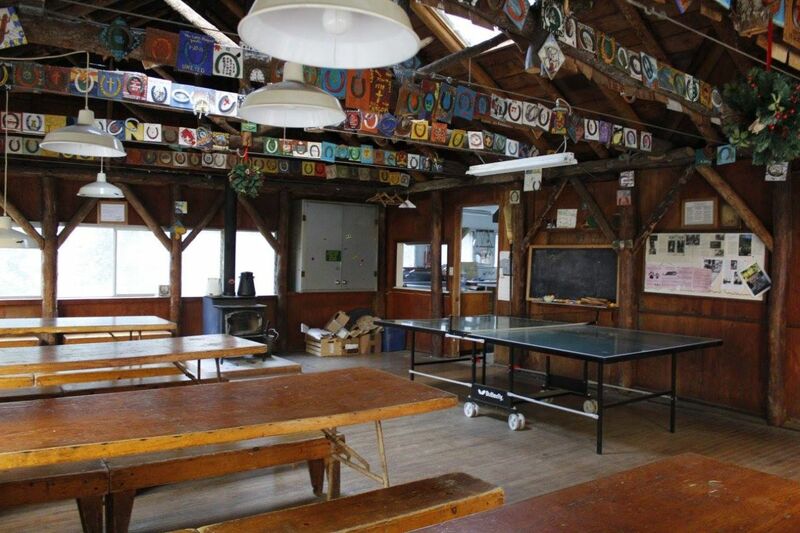 A prominent feature of the main room is the ping-pong table, one of the many activities available to camp guests. 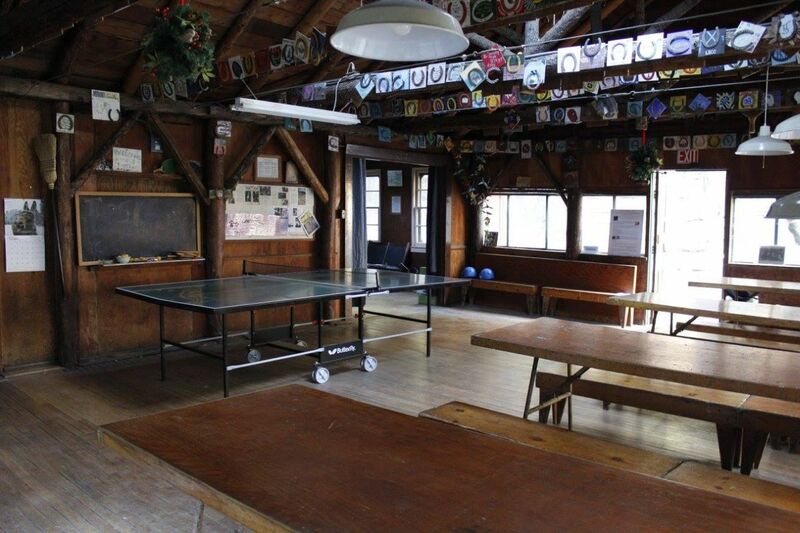 There’s even a chalkboard on the wall available for communicating group messages and activity schedules.